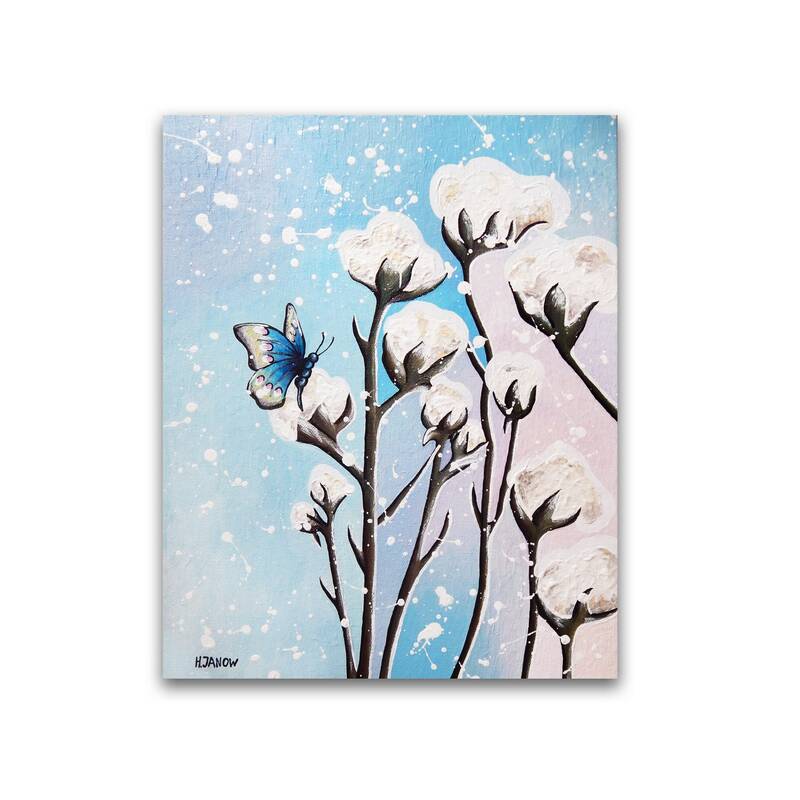 This beautiful aerial upscale modern baby blue ORIGINAL, one of a kind cotton and butterfly painting on canvas "Ethereal" is a perfect pick for dining areas, living room, bedroom and beyond. Great Mother's Day, Valentine's Day Gift for Her or Nursery Decor! The painting is created on a gallery wrapped canvas using my unique acrylic painting technique, wired and ready to hang right out the package! Sides are painted in blue - no frame required! Certificate of Authenticity is also included, signed and dated by me, the artist.